It is an old notion that you should warm up your cold started car before driving off, especially in the winters. People think it can harm the internals of the car if you just start and drive off. Well, this is not actually the case. It absolutely is unnecessary to idle your car before driving off. Well it kind of was true when we had those carby cars. The thing is, in carburetor equipped cars, air and fuel mix in the carburetor and then move to the combustion chamber to get ignited. Cold carburetors can change the air and fuel mixture ratio, disturbing the idle of the engine. That was the main reason why warming up the car was considered important before driving off. It has nothing to do with cold pistons and engine oil. You do not want your car to stall right at the cross roads. But our newer fuel injected cars work slightly differently. Throttle body is there for sucking in the air and fuel is not pushed along with it. These cars are equipped with injectors, which spray the fuel directly into the cylinder before ignition. And has sensors to control air and fuel ratio in the chamber. ECU of the car can control the amount of fuel to be sprayed inside the cylinder, while inspecting the burned gases coming out of the exhaust in real time. This changes the alchemy of the elements involved. This does not only save you fuel but, also time. You do not need to start up the car and then wait for it to be drivable. But please keep in mind, it also doesn’t mean that you just start the car and floor it. Many auto manufacturers recommend idling at least for 30 seconds before driving on. Just start the car normally, put it in first or ‘D’ and gently drive off. 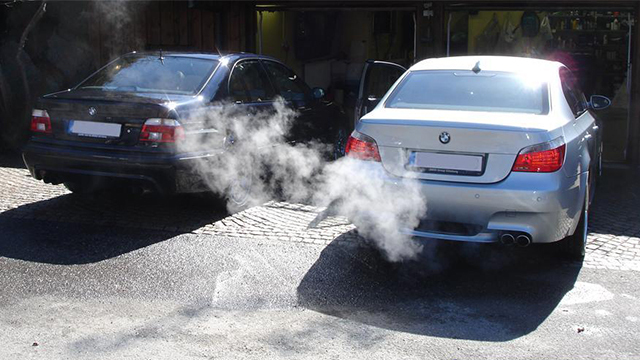 Idling is not only heavy to your fuel bills but is also bad for the environment. We don’t pay much heed to the effects of cars on the environment, but if we cut down our habit of idling, we will be cutting down the CO2 emission considerably. Aref Ali. No offence meant. But you need to get your facts straight first. New fuel injected engines, e.g. 1.8 1zz from a 2008 Altis, DOES NOT, I repeat does not inject fuel into the cylinder. Air passing through throttle body is mixed with vaporised fuel just before the “mixture” enters the cylinder. There are engine which do that, and they are called direct injection engines. E.g. The FSI technology used in Audi and VW. New Porsche engines are DI. The Mitsubishi GDI is direct injection. But the Toyota and Honda engines we get are NOT direct injection. 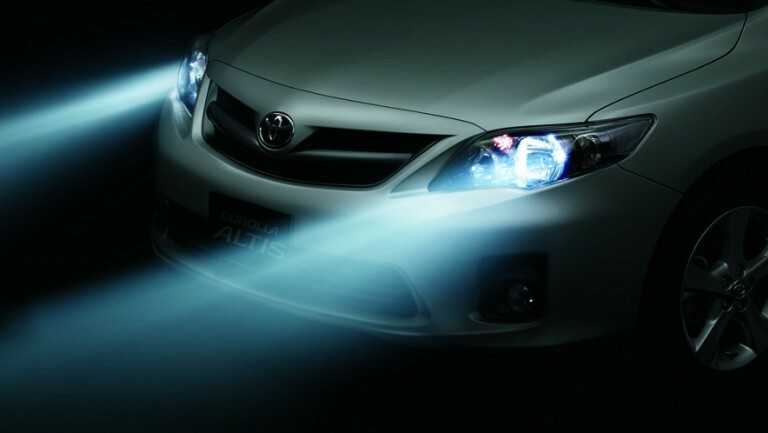 Toyota is currently developing DI petrol engines. Direct injection tech is more common in Diesel engines. E.g. D4D Toyota. Or TDI Land Rover. TDI VW and Audi. BMW and Merc switched to DI petrol engines very recently. Mainly to comply with emission regulations and stuff. Yes…idea is to reach optimum efficiency. All efi engines never stall when cold. Plus all engines r designed to operate efficiently at certain operating temp. Additionally, there is more wear n tear till operating temp is reached, it has to do with metallurgy, tolerances (metal expansion) n optimum oil viscosity at operating temp. There is a reason why cars run on short trips need quicker oil changes than cars maintaining operating temps for extended periods. Well the last paragraph negates everything you said above. If warming up doesnt matter then why do manufacturers recommend it? Exactly my point tht there is a rezn they have those temperature gauges. I think it is still a best practise to at least give the car 50 seconds in cool weather, in case of a manual car you will feel the gear is kinda stiff (not sure it just happens with me), though in summers 30 sec is enough. Thank you for your reply. You should write some articles for PW as well. I didn’t know some cars came with green engine light. You learn something new everyday. Thanks. Good point. Maybe one of the few purposes of the temperature gauge is to warn you before you melt your engine in case there is no coolant in the system. But who knows. I am new to all this car thing. You are right. In winters, car’s gear oil also gets thicker because of the low temperatures, hence sticky gear shifts. I use the crappiest of all gear oils (PSO) and it really turns into glue in winters and you actually have to apply considerable force to change the gear in my car. the only thing you are warming up at idle is engine oil and the coolant maybe. everything after the flywheel i.e gearbox, tyres, bearings are still cold. if u start moving at low rpm after a minute in winters and 30 sec in summer you are gradually warming up all the parts. whats a point of a warmed up engine and cold tyres, bearings having wear n tear. you shouldn’t drive the car hard till it reaches optimum temperature but driving at reasonable speeds (30-35) with shifting up earlier without lugging the engine is best as it warms up the gearbox, tyres, bearings etc. too. you should wait for 30sec in summer and a minute or two in winter before driving off. The first wrong assumption here is that a morning warm-up was only related to carby vehicles’ A/F mix & idling – not its not. Cars equipped with heated O2 sensors also need the sensor heated to 100s of degs F to go into closed loop economy mode -saving the environment more than if car were to be run when cold because of extra fuel dump. And it goes beyond just this too. PWheelers…please publish after thoroughly researching a topic. No offense intended. It is not only the air and furl mix and carb vs inj system, the lubrication oil too is thick when cold and takes time to warm up to correct viscosity to pass through various orifices in right amount. So a 45-60 secs warm up especially in winters generally a good practice. Even in neutral/park gears inside the gearbox do spin wroth the engine….its just that those spinning gears aren’t transferring power to any other gear at the axle end. thats right but driving hard on a warmed up engine with cold tires, brakes, cv joints and differential(if rwd or fwd) isn’t beneficial for overall health of the car. and diesel engines in cold weather(though we don’t have any in Pakistan) take like forever to warm up unless driven. Thank you for your reply. Please think about contributing to PW blog through articles as well. Let me quote you. You said “And has sensors to control air and fuel ratio in the chamber”. Let me tell you what these sensors actually are. These O2 sensors or oxygen sensors are made from zirconium oxide which actually calculate the amount of oxygen thus the air fuel ratio. Now as an instrument engineer i know that these sensors start working after they’ve been heated to 600 degrees centigrade (which is done by the hot exhaust gasses) Ergo u need to warm up these sensors first for them to work efficiently. Once they’ve reached their optimum temperature the small blue light like the one in Honda’s turn off and you’re ready to take off. If idling wasn’t necessary why do you think the companies would go into the trouble of indicating when the engine temperature is too cold for one to start driving. This is one out of many reasons why idling for a while in new cars is also important. Other reasons like engine oil viscosity have already been discussed in the comments so i wont go into their details. I may be wrong in assuming that you are using SAE 140 Gear Oil. If I am correct, then you should use SAE 90 or 80W-90. brother u r mixing too much things with too much things.. the point where u r saying about modern cars is actually true but u r saying that in case of internal combustion. u still need to circulate the engine oil when u cold start ur vehicle cuz when the vehicle is cold all the oil sits on the lower pans of engine when the engine is started n fan is operate once all the oil is heated up and circulate through engine.. so i m sorry but u r wrong!! In most new cars (specially Japanese cars) there is green indicator ‘C’ which remain lighted for few minutes when you start a car in morning. ‘C’ stands for cold, it disappears after sometime. If it is unnecessary to idle your car before driving off then what is the purpose of this ‘C’ indicator? I mean engineers special Japanese manufacturers have something in mind that they introduce this indicator? Start ur car have a smoke get in and go!